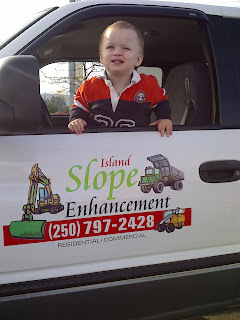 Island Slope Enhancement (ISE) is a locally owned, fully insured equipment business with excavators, bobcat skid steers, dump truck, plow trucks, and various other pieces of equipment. We can do it all! We have years of experience and specialize in foundation preparation, lot leveling, land clearing, snow removal, rock walls, landscaping, septic fields, demolition, tree removal, supply and delivery of sand, gravel, rock, topsoil and bark mulch. Our goal is to ensure your satisfaction with our experience, efficiency, excellent rates, honesty, and professionalism. Give us a chance to make you happy with your improvements. We give free estimates with no pressure and work with and for you so you get what you want.